Google, which has easily become probably the best Search Engine of all time, has been producing regular updates for the Microsoft integrated Internet Explorer. They have been developing several integrated applications for Google drive, Gmail, Maps and other Google based applications for the Internet Explorer. However, the recent news is that Google has stop making Google updates for Internet Explorer 8 which was an older version for the Browser. Google has now discontinued any application programming for the Internet Explorer 8 as it says that now it wants to concentrate all of its power on developing new applications for the browsers such as Google Chrome, Mozilla Firefox, Internet Explorer 9 and above. They want to adopt web designs that are best for the Google Analytics product. 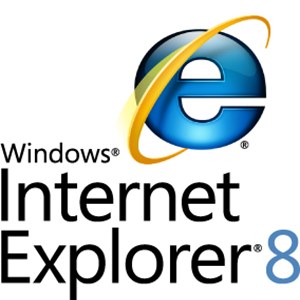 Internet Explorer 8 users will continue to use Google applications till the end of 2013 and will be able to use Google in that browser, however they won’t be able to use the Google toolbar or other integrated applications and will be recommended to upgrade to a new browser. Just like the internet Explorer 8 suffered from the up gradation process from Google, new websites should also know how to make SEO friendly Web design. This is so because Search engines filter out websites that do not fill their criteria. For being a regular part of search engines such as Google, Websites must keep their content in an index and organized, the link structure the same way as well and should also regularly update the website’s content online. This makes the web page a much favourable option for the search engines. Google Updates for internet explorer 8 are going to be ceased soon, which means that now is the time to upgrade to a better browser. Also, all website owners should make sure that they do not want to fall out of the preferable zone of Google.